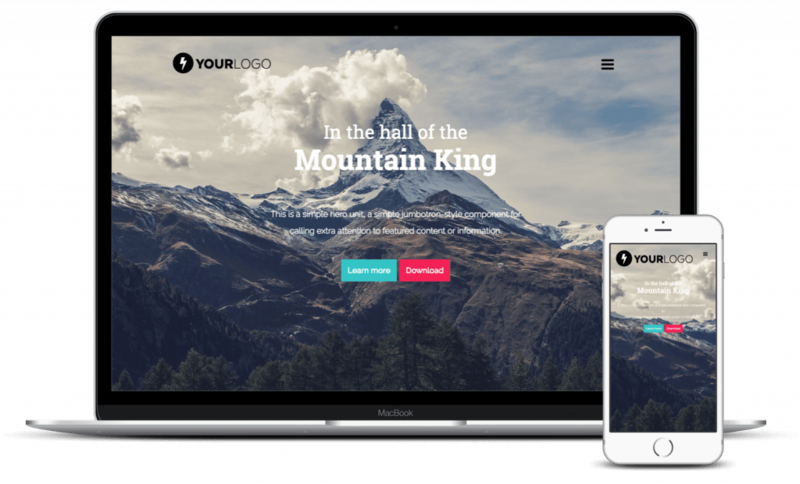 Mountain King is an Onepage template HTML5/CSS3 based on Twitter Bootstrap 4.1 designed for lovers of wild freedom. Can I modify this template for my projects? Can I resell this template? Absolutely no! You do not have the rights to resell, sublicense or redistribute (even for free) the files on its own or as a separate attachment from any of your work. Can I promote this template on my website? Can I remove the link in footer? You are allowed to Remove Back link only with a premium license.